BARATARIA, La. — About 20 journalists came together today in the New Orleans area to test six Mercury Marine engines, including a 370-hp TDI diesel sterndrive and what the engine maker says is the first quad joystick application. The engines, which range from 60 to 370 hp, were rigged on a dozen boats from 16 to 39 feet. 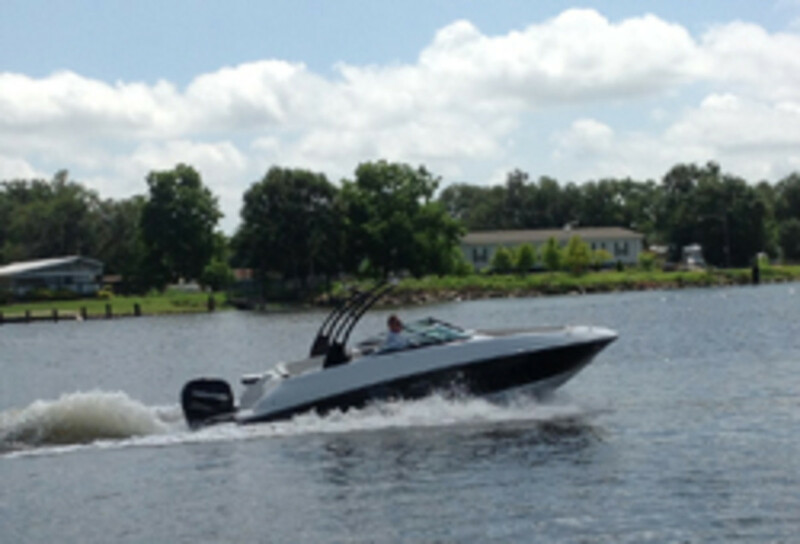 Four Verado 300-hp outboards powered the joystick-equipped SeaVee 390. The new diesel sterndrive, which uses a Volkswagen engine, powered a Statement Marine 38 SUV. The engine weighs 851 pounds and meets the EPA&apos;s Tier 3 standards. Click play for a look at the New Orleans event. "This is an opportunity to show product, and we have new relationships with a few boat companies, such as Southwind and Spyder," Mercury Marine communications director Steve Fleming told me at Bourgeois Charters. Mercury last held a press outing this large about six years ago, Fleming said. Also here is a second-generation 8.2L gas engine — an improved version of the 8.2L that MerCruiser released in early 2010. It has been redesigned to enhance the user experience on several fronts. The engine is scheduled to reach dealerships and be available for consumer purchase by mid-August. The TDI diesel is expected to hit the market in late summer. "We&apos;ve been waiting for this engine anxiously," said Marty Bass, vice president of global product management. "It comes with all the benefits of diesel technology as far as fuel economy and is extremely quiet and clean. I think people will love it."